Your space in your office can be likened to your personal sanctuary. It is where you’re able to make magic happen as well as help your company grow. For this reason, it’s important that you make the most of your personal office space and find ways to make it your own. Doing so could help improve your productivity as well as make your environment warm and welcoming. If you’ve been thinking of ways to improve your office space, then you should continue reading. You’re going to find three ways to run a more personal office space below. You’ve likely heard the emphasis that’s being placed on going paperless time and time again. However, this emphasis could be because people are seeing the benefits of getting rid of all of the endless sheets of paper flying around the office space and their desks. Some benefits of going paperless are reducing the influx of physical mail, reducing clutter, as well as having access to everything at your fingertips. This is a way of helping you stay organized, reduce the risk of you losing important documents, and will also save you a significant amount of time. If it means anything to you, going paperless is also a great way to ensure your space is more environmentally friendly — and that a good thing. On a side note, this reminds me of one of my favorite characters from Discworld, Commander Sam Vimes. He is notorious for not having the inclination to deal with all the paperwork that comes his way. One of the ways to run a more personal office space is by getting software like that demonstrated on People XCD as a means of helping you arrange your appraisals. When done without software, this task can be both long, time-consuming and sometimes tedious. However, software ensures that you’re able to easily organize as well as stay on top of your numerous appraisals. This could help reduce the occurrence of errors and mistakes and is overall a more efficient and time-saving approach. Your office space is somewhere that can easily go from neat and organized to chaotic with a few paperclips and highlighters. You should, therefore, see how you can get the right items and gadgets that help you stay organized and compartmentalize where possible. Some ways to keep your desk organized include using caddies and trays to organize your desk and drawers. You can put lose pens, paper pins, thumbtacks and just about any other random item inside to help avoid them being littered around your desk. In addition, multifunctional gadgets such as multifunction printers or speaker phones can also go a long way in helping you to save space and time. 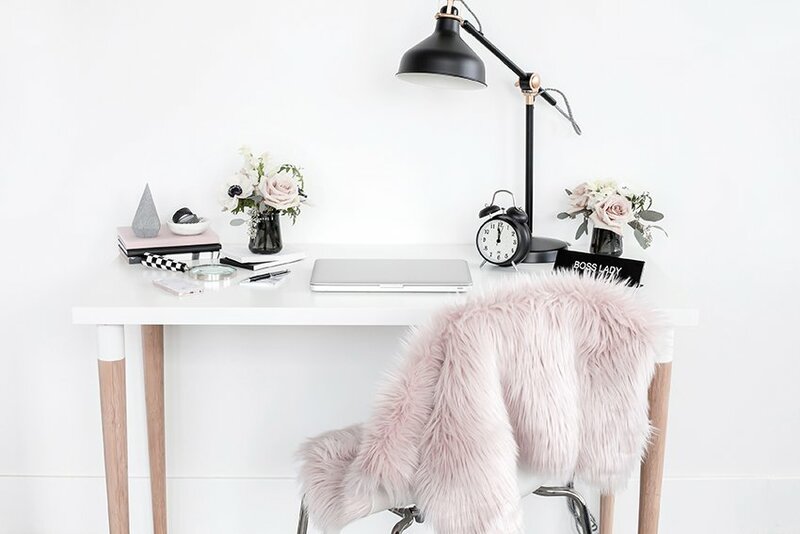 If you want to see how I keep my workspace organized and pretty, check out this post. Running a personal office space can make your days far more productive as well as give you something to look forward to every day. You should, therefore, put careful thought into what you need to help you perform at a high standard. This could be through the suggestions mentioned above that can help get you started. Just remember that your office space is personal, so you should endeavor to find ways to make it your own.